A FAMILY OF PRODUCTS DESIGNED TO DETANGLE YOUR FAMILY’S LIFE. Have you heard of the Knot Genie Detangling brush? I first wrote about the easy-to-grip cloud-shaped handle-less Knot Genie brush back in 2012 and since that time the company has grown into a family of hair care products including the brand new Magic Foaming leave-in Detangler. Brilliant! My youngest daughter is a curly-girl, so even with a detangling brush we still like to use detangling spray each day so that doing her hair is a pain-free brushing experience for both of us. This is the first time we’ve ever tried a foaming leave-in conditioner and since we’ve happily used Knot Genie’s brushes for four years now, I knew I wanted to give it a shot. The detangler promised to remove knots with less product (awesome), that the foam made it easier to distribute the detangler in the hair (super) and that it did not have a heavy feeling of ‘product’ on the hair or hands (yay!). It sounded great so Brie and her curly curls become my little test subject to see if this detangler was indeed ‘magic’! 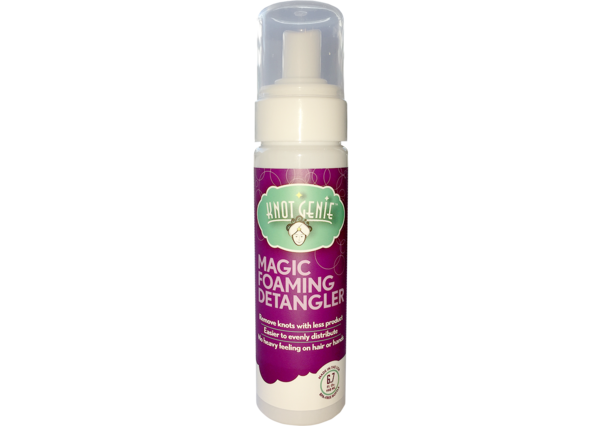 I was very excited to try the new Magic Foaming leave-in Detangler by Knot Genie because I use detangler on Brie’s curls after her bath and in the morning when it’s dry before I style. The Knot Genie Magic Foaming leave-in detangler is made to work on both wet and dry hair, which is exactly what we need. I found that the foam was pleasant smelling (almost like a baby powder smell) and worked best if I put it in my hand first then worked it into Brie’s hair very gently before combing. 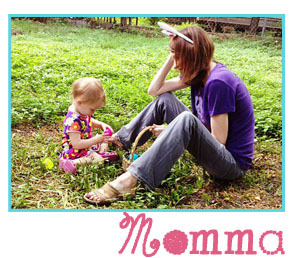 It was very simple to use and it made detangling her curls very easy. I thought Brie might not like having me put the foam in her hair since she’s used to the spray detanglers, but it wasn’t an issue at all. In fact, I felt like I had more control in getting her curls to tame and comb and I have a good brushing technique down so Brie’s curls stand out instead of being a frizzy mess. I love the results of using Magic Foaming leave-in Detangler by Knot Genie and I look forward to continue using it for my curly girl. Formulated with the highest technology ingredients that are available on the market.